WARSAW, Poland (AP) — A U.S. official said Tuesday that Washington is disappointed that Turkey is staying away from Europe’s largest human rights conference for a second straight year because it wasn’t allowed to prevent the participation of non-governmental organizations that it finds objectionable. Ambassador Michael Kozak, the head of the U.S. delegation to the conference, said that Washington “regrets that Turkey chose not to attend” this year’s meeting, known officially as the Human Dimension Implementation Meeting. “Turkey’s presence would have ensured that its point of view was heard,” Kozak said in a statement to The Associated Press on Tuesday. The yearly two-week conference, which opened Monday in Warsaw, is devoted to democracy and human rights. It is organized by the Organization for Security and Cooperation in Europe, which comprises 57 states from North America, Europe and Central Asia. The conference is unique because it allows civil society groups, no matter how small, to participate on an equal footing with governments. 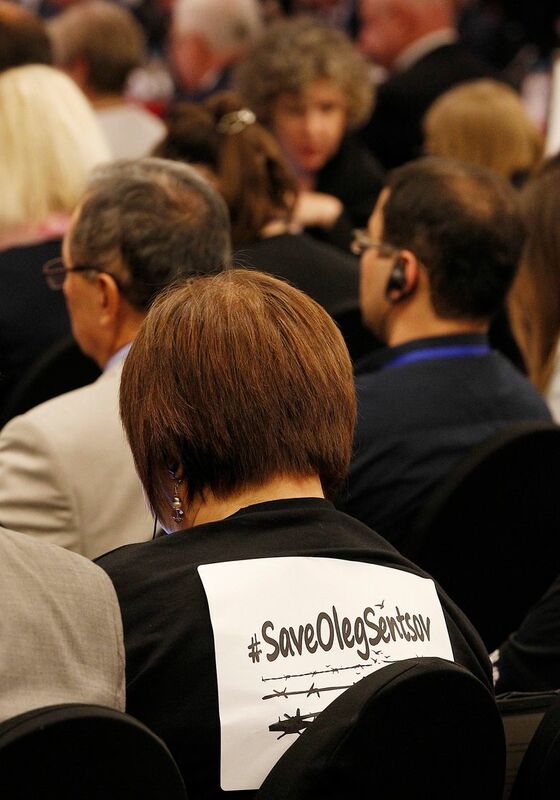 With many of the participants from countries with authoritarian governments in the former Soviet space, it is sometimes the only chance some democracy activists have to address government representatives from their own countries. The Turkish delegation staged a walkout of the meeting last year after failing to block groups affiliated with cleric Fethullah Gulen, whom Turkish President Recep Tayyip Erdogan blames for a failed 2016 coup. This year, no Turkish delegation showed up at all, its seat empty. The Turkish government alleges that groups affiliated with Gulen’s movement are part of terrorist movements. It frequently accuses the West of sheltering Gulenists and not providing it with sufficient support against the network. The OSCE’s position is that allegations from a government against an organization without evidence or due process aren’t enough for a ban. “They would strike off lots of names, and then it would be a closed garden and there would be no discussion,” Schenkkan told the AP by phone on Tuesday.